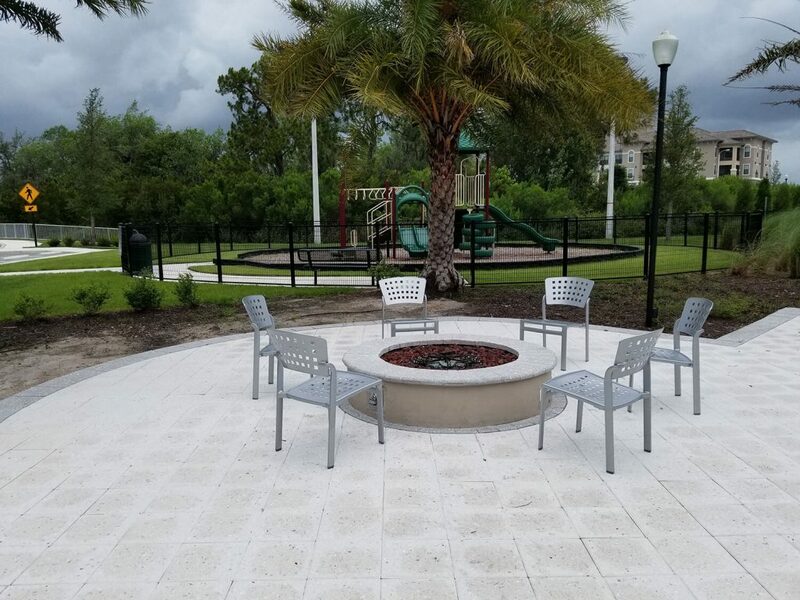 This fire pit was built for a commericial property. The fire pit features an electric ignition, custom built pan for the burner and filled with fire rocks. It was a wide circular design to allow a large amount of people to gather around.